A June 30 video shows officials of the steel plant apoligize for the pollution. 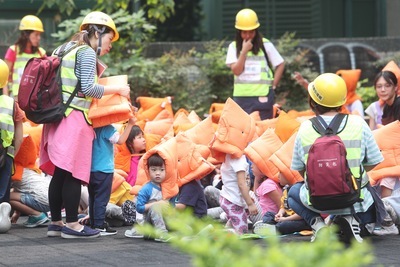 Hanoi, Sept. 27 (CNA) The steel unit of Taiwan's Formosa Plastics Group (FPG) in the Vietamese province of Ha Tinh, which is being sued by over 200 Vietnamese fishermen for compensation over pollution, said Tuesday that the case will be handled by the Vietnamese government. Formosa Ha Tinh Steel Vice General Manager Yu Ching-chang (余慶璋) told CNA that the company has received all the information regarding the lawsuits, but said that the matter will be handled by the Vietnamese government. The company has nothing to do with the matter, and is therefore unable to comment, Yu said. He said Formosa is trying its best to fulfill its environmental protection commitments as required by the Vietnamese government, and added that the company's efforts have won the approval of the relevant local authorities. According to Vietnamese media reports, more than 200 fishermen from several central Vietnamese provinces traveled Monday to Ky Anh, a town in Ha Tinh, to sue the steel plant at the Ky Anh People's Court for discharging toxic water into the sea in April, causing massive fish deaths. The incident has seriously battered the livelihoods of local fishermen, the complainants argued, demanding compensation from the company, the reports said. According to an estimate, the pollution has caused more than 40,000 Vietnamese fishermen to lose their jobs or left them on the verge of being pushed out of the job market, while an additional 176,000 people in Vietnam have been indirectly affected by the environmental disaster. On June 30, FPG admitted responsibility for the pollution and promised to cooperate with the Vietnamese government to resolve the economic losses of the affected people, and to make efforts to treat and improve the marine pollution. Tran Hong Ha, Vietnam's natural resources and environment minister, said in late August that the FPG has paid the government US$500 million in compensation for the pollution.